Food and Toy Drive for Sun Youth at EC Montreal! As we enter the holiday season, we are reminded that it is the time of year to give to the less fortunate. At EC Montreal, giving back is a big part of our culture. We want our students to get involved and feel like part of the Montreal community. This holiday season, we will be holding a food and toy drive for Sun Youth. Sun Youth has been distributing 10,000 baskets of food and 5,000 toys to families who are less fortunate in Montreal since 1981. Sun Youth has sent us a grocery list of items that are most needed by families. There is the regular list and the Christmas list to help make the holidays a lot more cheerful for these families. 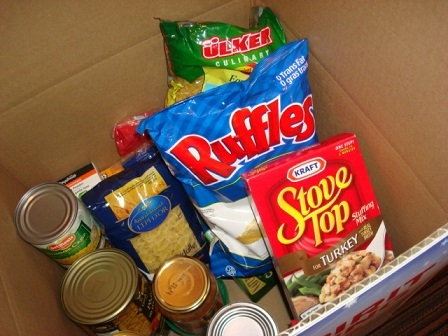 Starting today, EC Montreal will be displaying boxes in the office for donations. To encourage everyone to give and be as generous as possible, we will be holding a classroom competition. The class that donates the most items will win a pizza lunch and each person in the class will receive a raffle ticket for our annual bake sale event. If we all work together, with a giving heart, we can make a big difference in many families’ lives. Please find below a list of suggested items: Cereal Peanut butter cooking oil pasta spaghetti sauce canned vegetables canned fruits oatmeal canned fish or meat rice or beans soups ready to eat meals dried fruits boxed drinks granola bars baby food diapers hygiene products cranberry sauce gravy sauce Christmas candies Christmas cookies Children’s toys (new) We thank you, in advance, for your generosity and helping us to spread holiday cheer! Help us to help others! 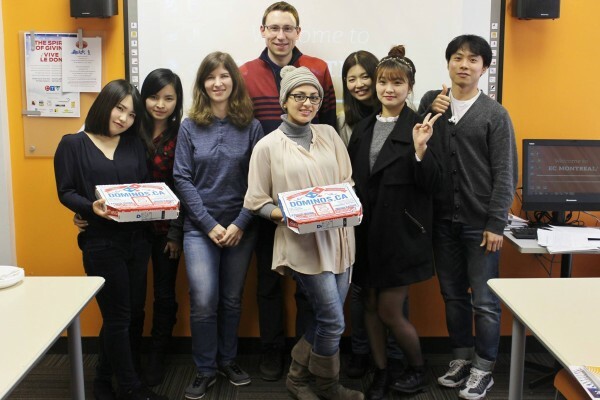 Study at our Montreal language school and give today!